Okabashi Eurosport Black | BUDK.com - Knives & Swords At The Lowest Prices! The Okabashi Eurosport is great for home, the locker room, and everyday use. This is one of our most popular leisure shoes because of its sporty design and durable construction. It features an ergonomic foot-bed with a massaging insole. 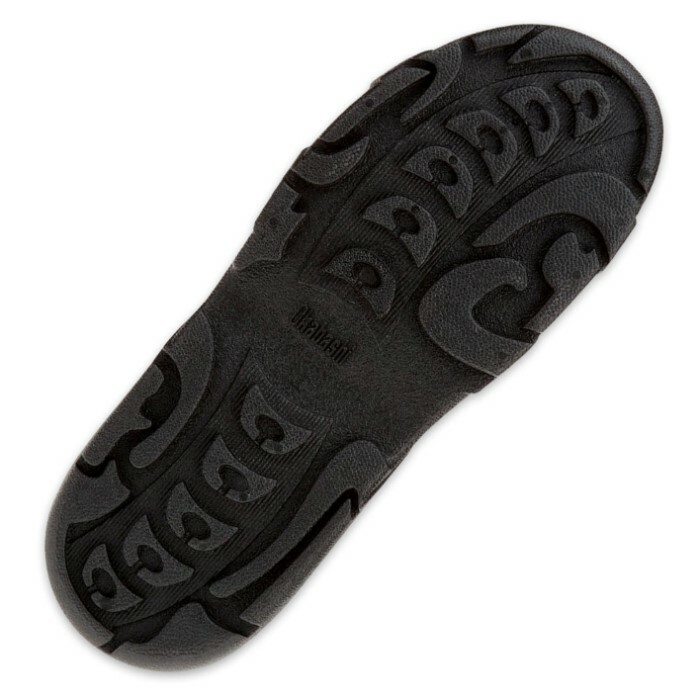 It is constructed of signature Microplast material that is anti-slip, anti-odor and vegan-friendly so that you can reduce your carbon footprint. 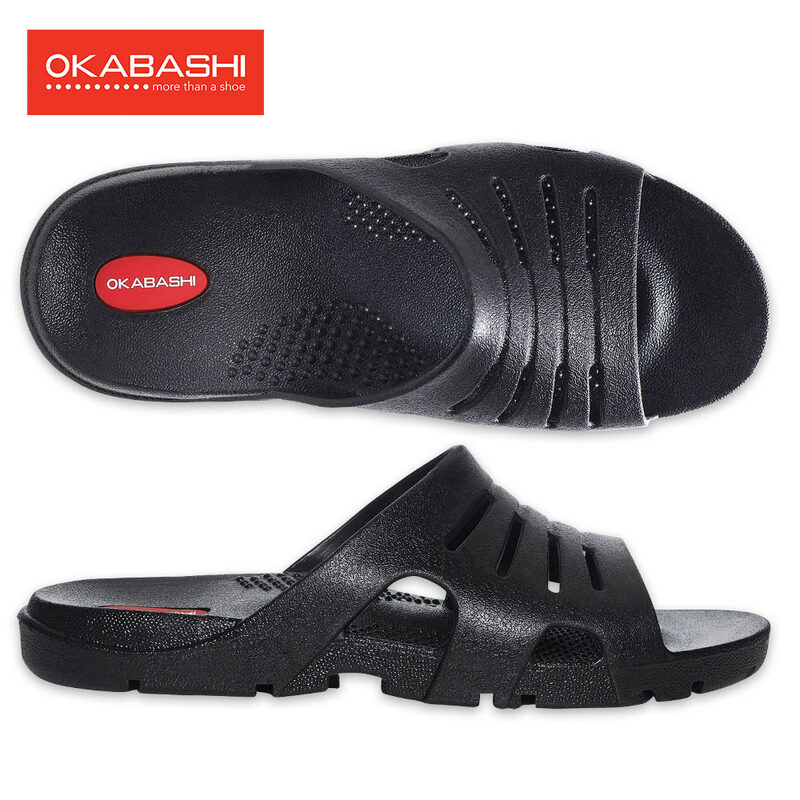 It has a wider foot bed and high arch support for the ultimate in comfort. It is eco-friendly and made in the USA.